Warmer weather means lower necklines, shorter hemlines and shorter sleeves, so it’s the perfect time to start stocking up on jewelry pieces for the summer season. I love to pile on bracelets when I go to the office or zip around town running errands. Necklaces and earrings are fabulous for meeting the girls out for a night on the town, preferably rooftops overlooking New York. Girls, if you’re ready to accessorize for the warmer seasons, you’ve come to the right place. These 5 tips will prepare you for the warm weather. Fall in love with color this season and go for bright combinations and different pairings. 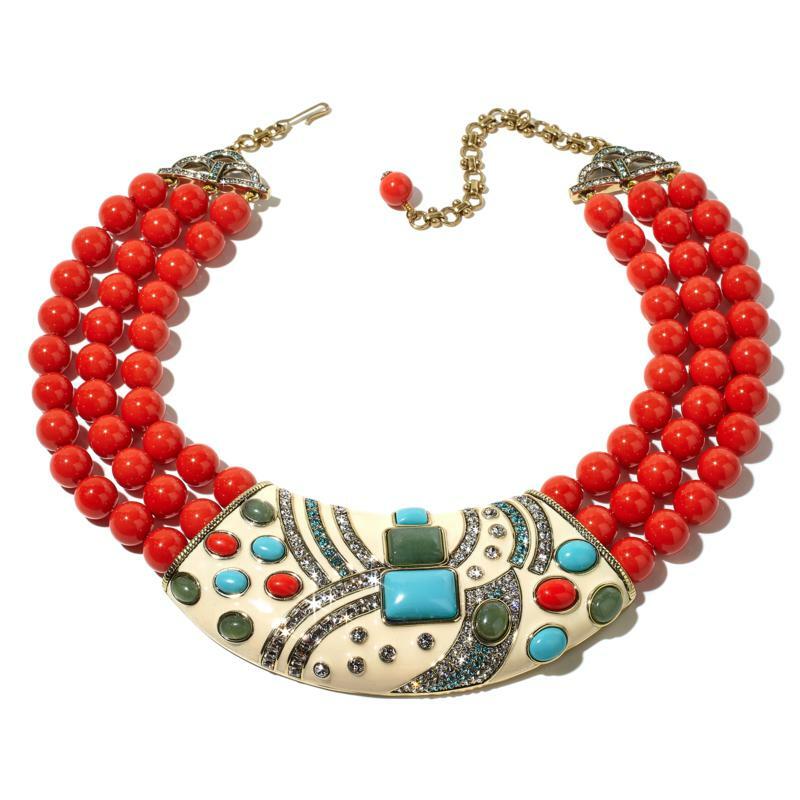 Combining turquoise and corals with your summer looks always makes a statement. I love how “The Modernist” collection looks with white capris, wedges, and a fabulous floppy sun hat. Be sure to pick up the matching earring and bracelets to complete your look. 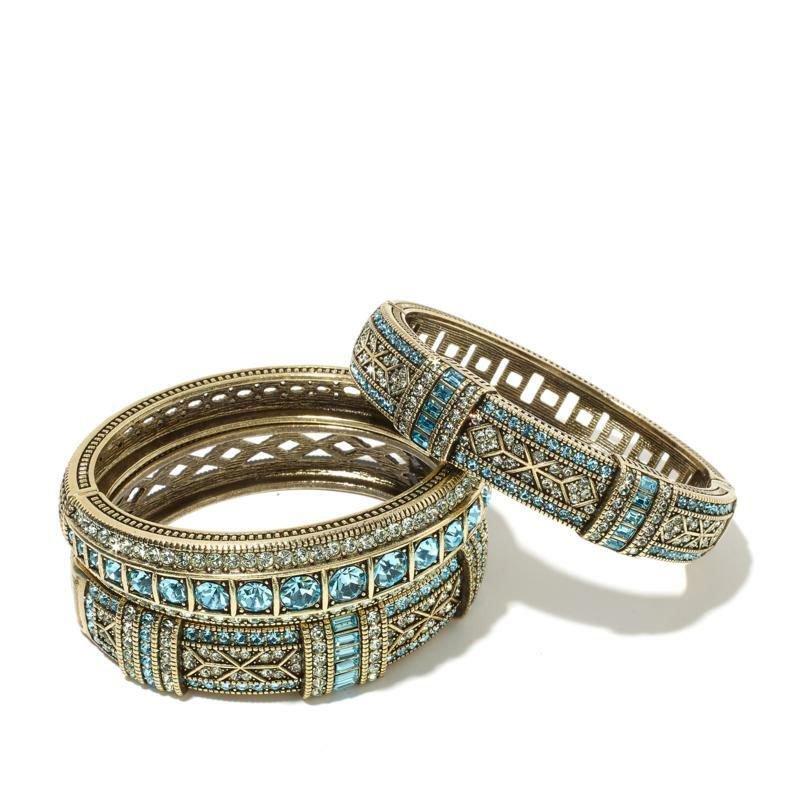 Wear bangles with varying texture and accents! These make your wrists and arms really stand out and sparkle of course! They also help bring out different patterns in your clothes. Experiment with pave-set designs, princess cut gems, engraved patterns, and toggle-closure beads. You’ll be amazed at all the unique looks you can create when you mix solid-colored, smooth bangles with textured ones. The perfect set to do this with is my “Everyday Elegance” 3-pieces crystal Bangle Bracelet set!! Color is a summer staple for those hot summer days and breezy summer nights but knowing when to wear neutrals is just as important! I love how fresh and clean bright whites and linen paired with neutral brown and cream jewelry looks. The perfect necklace to try this out with is my “Boho Chic” Crystal Accented Multi Bead Necklace. 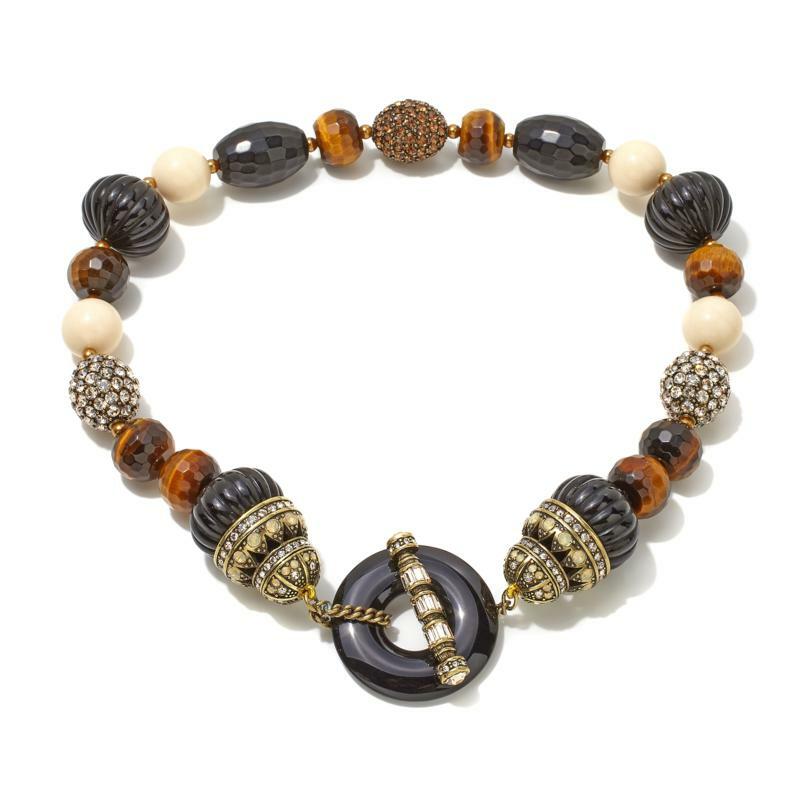 It has the perfect amount of faceted bead shimmer mixed with clean luxurious ivory and warm brown tones. Selecting fun playful pieces that are reminiscent of those white sand beaches is a must! My “She Sells Sea Shells” is perfection for that light maxi dress or crisp white blazer for the office. 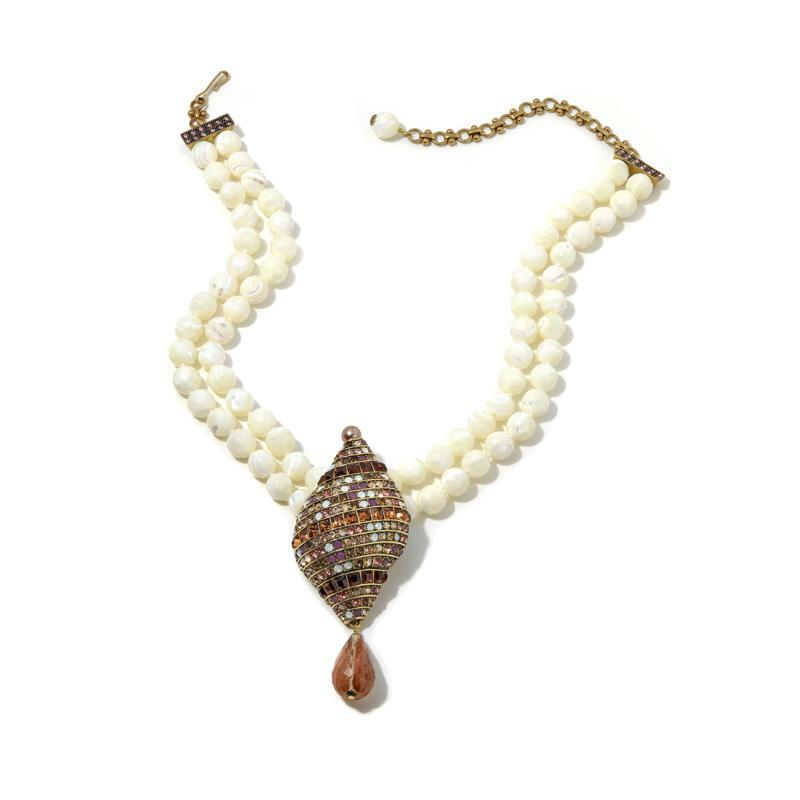 The dimensional seashell design encrusted with white opal, cyclamen, rose peach,and smokey quarts Swarovski crystals brings you to the seaside even if you are stuck at the office. I just love how all my gold tone pieces look against bronzed sun-kissed skin. Wear fewer clothes girls and layer on the jewels. Your skin will glow and heads will turn as you sashay past everyone you walk past leaving behind a memorable vision. The stunning “South Sea Riches” necklace is fabulous and summer approved. Enjoy those beautiful summer moments and be sure to always wear fabulous jewelry so that when the moments are captured, you sparkle brilliantly.